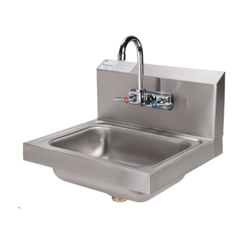 We offer Single Sink unit that are an essential part of every modern and commercial kitchen. It has a stainless steel construction, which ensures its durability and corrosion resistance. The commercial kitchen sink has a chair-type design, which means that users can easily wash various kitchen utensils while standing. As per the needs and requirements of our clients, we are involved in providing Glossy Kitchen Sink. We are leading manufacturer of Sink. 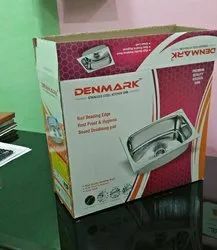 We are offering Dish Washing Sink to our clients.